Night Illusions & Their Remedies, Physiological Conditions Which May Degrade Night Vision, Night Time Scanning Techniques, & More! Understanding physiological conditions which may degrade night vision? If so, this course was designed for you. What type of illusions with their remedies are covered? What physiological conditions which may degrade night vision does this course cover? Rod & Cones and Off-Center Viewing. How does this online course provide documentation? I need to provide some physical documentation and it needs to be available for inspection upon request. A student goes through the course by watching one of the course videos and then completes a quiz right after each video. Each quiz requires 100% to pass it. This ensures that any deficiencies in knowledge are identified and corrected (because they must study and take the quiz a 2nd time). When the student watches all of the videos and passes all the tests with 100%, the student can obtain a unique certificate that can be printed out and used as documentation in case the FAA requests it. Instead of the drone program manager going through the hassle of putting together the night operations curriculum, creating quiz questions, coordinating everyone taking the test, and correcting any deficiencies, the drone program manager could just tell the pilots to all take this online night operations course which is available 24/7 and bring back their certificates of completion (which they won’t get unless they obtain 100% on all tests) to act as documentation in case the FAA starts asking questions. So why would the FAA recognize your course as being reliable? Jonathan has been an FAA certificated flight instructor for airplanes and instruments for over a decade. This certificate allows Jonathan to provide ground and flight instruction to student, private, and commercial pilots on night flying. In addition to his FAA certificate, he is also a practicing aviation attorney. Recreational, Commercial, and Public Drone Flyers Can Benefit From This Course. Really anyone who flies drones at dawn, dusk, or night can benefit from this course. Let's dive into the benefits to each of the groups. If you are a non-recreational flyer (commercial or government) flying under Part 107, you have the ability to fly during civil twilight without this training but it is helpful in understanding aircraft lights and physiological conditions affecting your night vision. Additionally, if you are planning on going for a night waiver or you have one pending, you can get this training already out of the way so you can start flying as soon as your night waiver gets approved. "Prior to conducting operations that are the subject of this Waiver, the remote PIC and VO must be trained, as described in the Waiver application, to recognize and overcome visual illusions caused by darkness, and understand physiological conditions which may degrade night vision." You can develop your own curriculum (which takes time and you are left with that pesky thought "Did I get everything?") or simply go through this course! 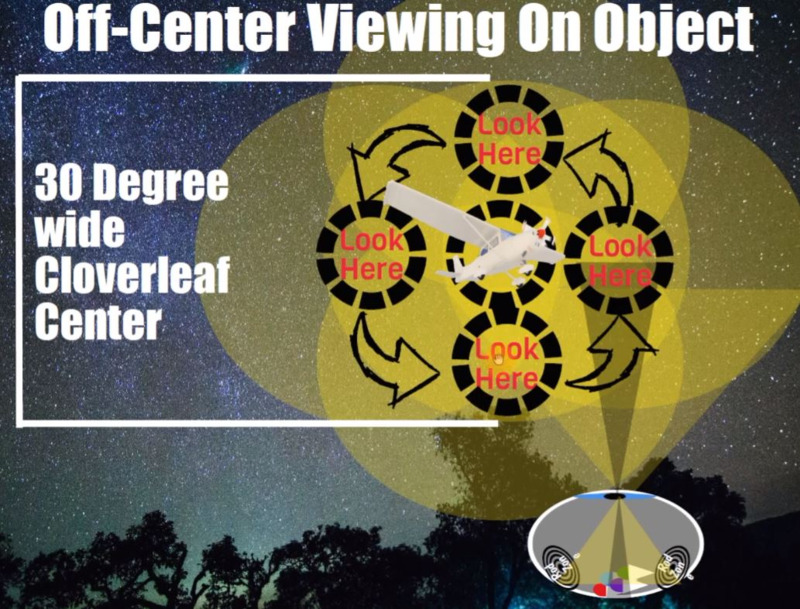 This course is designed to train students to "recognize and overcome visual illusions caused by darkness, and understand physiological conditions which may degrade night vision" as well as other important things such as aircraft lights and proper scanning techniques. Once you have completed the course, you print out the certificate of completion and retain it as documentation in case the FAA asks to inspect the documentation of night training. While the law may be different for recreational flyers compared to the non-recreational, the hazards are the same for night operations. 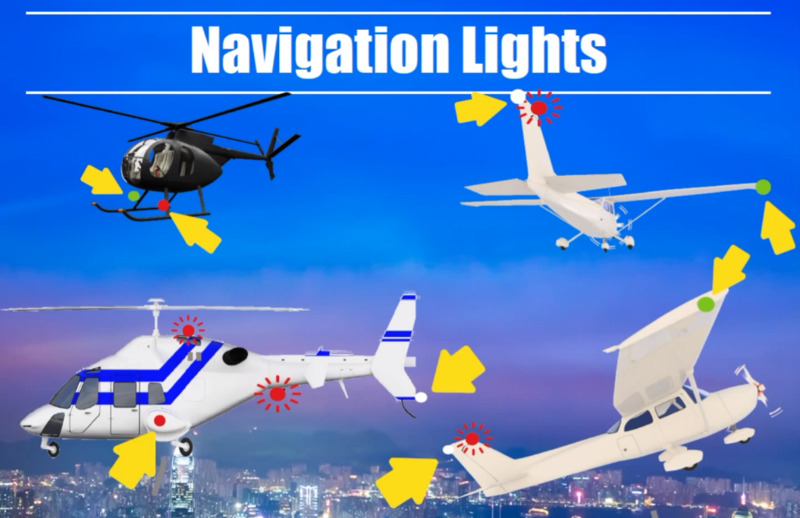 This course will help you understand manned aircraft lighting to determine its direction of flight, visual illusions that are caused by flying in low light, and physiological conditions which may degrade your night vision. Do I have to have a night waiver or have applied for one to take this training? 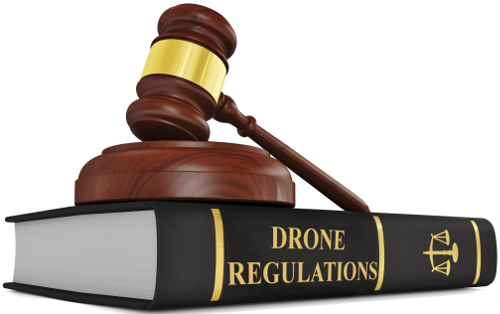 If you are applying for a waiver or already have one, you should also check out the Part 107 Drone Regulations course. Why? Some of the FAA waivers require the responsible person to make sure the remote pilot in command, visual observer, or manipulator of the controls is familiar with the Part 107 regulations not waived. This course would be helpful in making sure they are competent. Is this course going to teach me how to apply for a night waiver from the FAA? No, this course does not teach you how to apply for a night waiver. So why should we pick your course over the others on the market? None of the other ones on the market are taught by a current FAA certified flight instructor who is also a practicing drone attorney. Jonathan has instructed students on flying at night from his years of experience as an FAA certificated flight instructor. How can this course save me time? This course is designed to be time efficient without sacrificing knowledge. You access the course and watch the full course video or listen to it while doing something. Additionally, the videos can be viewed sped up which dramatically cuts down on studying as well as review time. 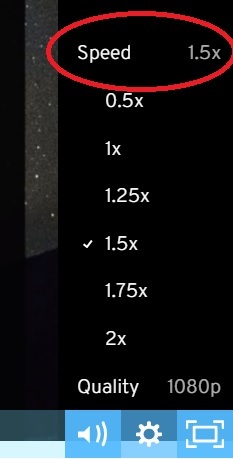 This allows you to watch a video twice at 2x speed in the same period of time as someone watching at 1x which can allow for greater knowledge retention. Can I view any of your videos for free? If you sign up, I offer you access to the first 3 videos. No, here’s why. (1) Each person would be quizzed which forces retention of the material and (2) each completion certificate has their name on it. The certificate acts as documentation of training in case of an FAA audit. If you have more than 4 people going through the course, contact us and we can arrange a discount. We can do it on one purchase order. I was able to take this class as a beta tester. The modules provided me with the knowledge I need to satisfy the night training under the 107.29 rule. When I started the class, I thought what else do I need to know about the seeing things at night. I learned the science and practical applications behind what is needed for better nighttime awareness and safety while operating my UAS and being a VO. Esquire Rupprecht lays out an educational plan that novice and pilot alike will benefit from. He also gives practical tips on studying and retention of the material. I highly recommend this course. I found that the course was informative and much more UAS oriented than previous night operation classes I had taken. The quizzes were challenging. I would definitely recommend to anyone wanting to get a Night Operations Waiver. This course was clear, thorough, and very informative. There were many practical techniques for adjusting to the challenges of night flying operations. I especially appreciated the quizzes, which reinforced the student's ability to apply the concepts. Great job, Rupprecht Law. Sign up to start your training today.